Home Food & Restaurants Yakimix Abreeza opens – eat and drink all you can! 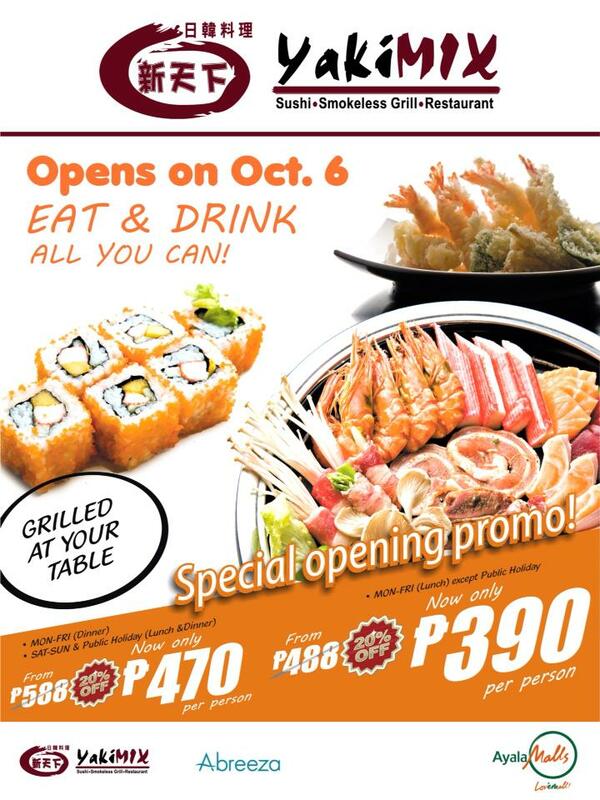 Yakimix Abreeza opens today, October 6, 2013 and will be offering a special opening promo at 20% discount until October 20, 2013!!! Experience an elegant luxury dinner buffet at P470 only and lunch buffet at P390 only!. For reservations and inquiries, please call: (082) 285-3333 and (02) 321-2333. 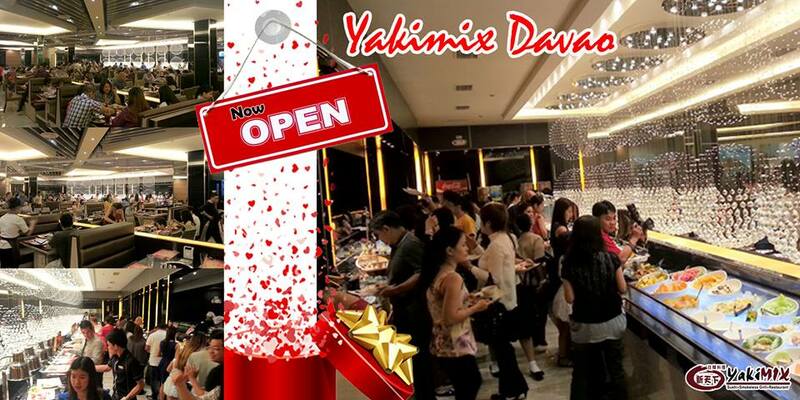 Yakimix is located at the 2nd floor of Abreeza Mall, J.P. Laurel Avenue, Bajada, Davao City. Like them on Facebook!